Firstly, you should give a specific and unique label to your posts which you want to be shown up on another blog. var numposts = 5 - Replace 5 with the number of post you want to show. 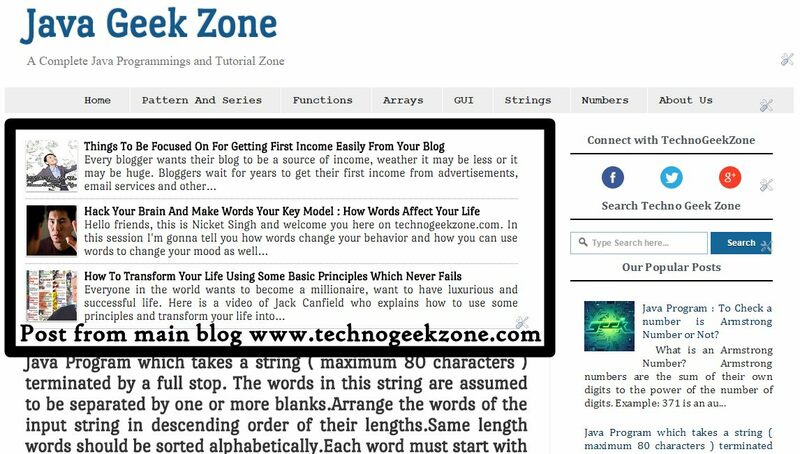 www.technogeekzone.com - Change it with the blog URL from which you want your posts to be shown. Articles2Read - Change it with the label of the post of the blog from which you want your posts to be shown.